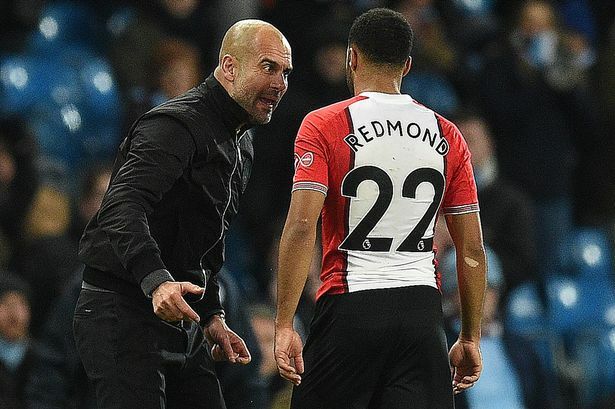 Southampton winger, Nathan Redmond, has revealed the details of his “intense” chat with Manchester City manager, Pep Guardiola. Guardiola was caught on camera appearing to berate Redmond, following their 2-1 win on Wednesday night. Raheem Sterling curled home a sensational winner for City just seconds before time. One media report claimed that Guardiola called Redmond a “w*****” as part of a foul-mouthed rant, but Redmond wrote on Instagram on Friday: “Yes he was very passionate, intense and aggressive but he was only very complimentary and positive to me. “I told him I was doing what my manager had asked me to do in the game. That’s it. Nothing more, nothing less.